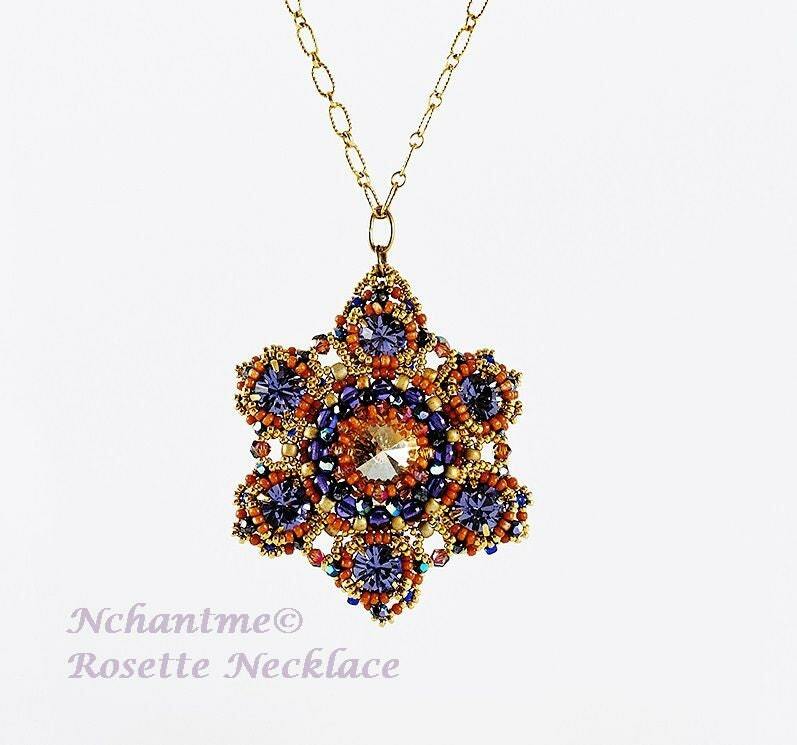 Inspired by the rose windows in Italy and France, this pendant looks like a six-pointed star or a rose with six petals. 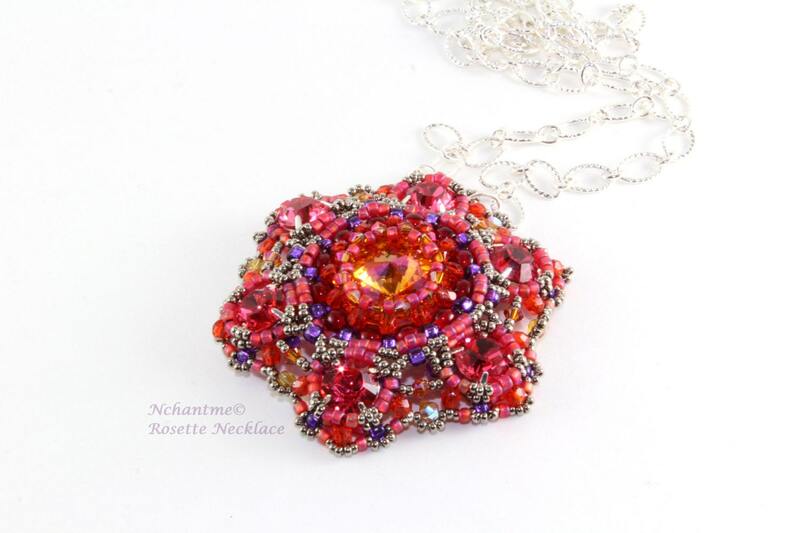 A Swarovski rivoli and chaton montees are framed with seed beads, bicones, and crystals to create this dazzling pendant. 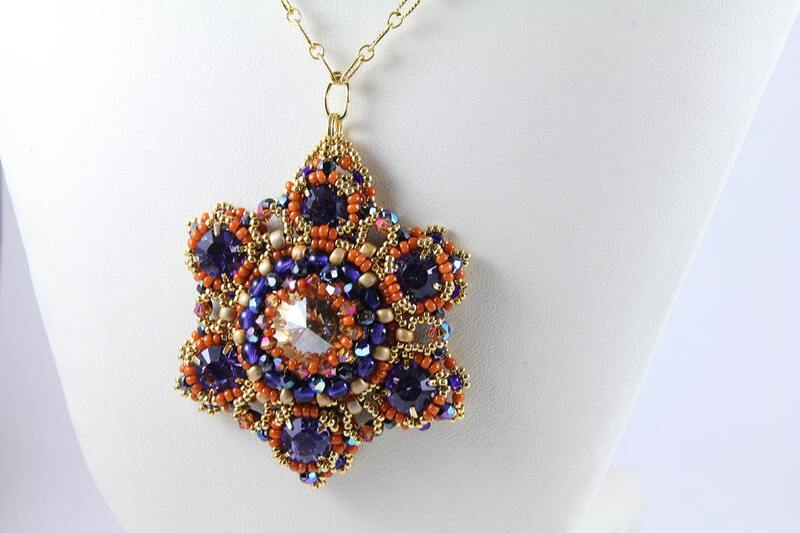 It hangs from a matching beaded chain, 24 inches long. Techniques: Peyote stitch, and other embellishment stitches. This item is designed around 8mm chaton montees. 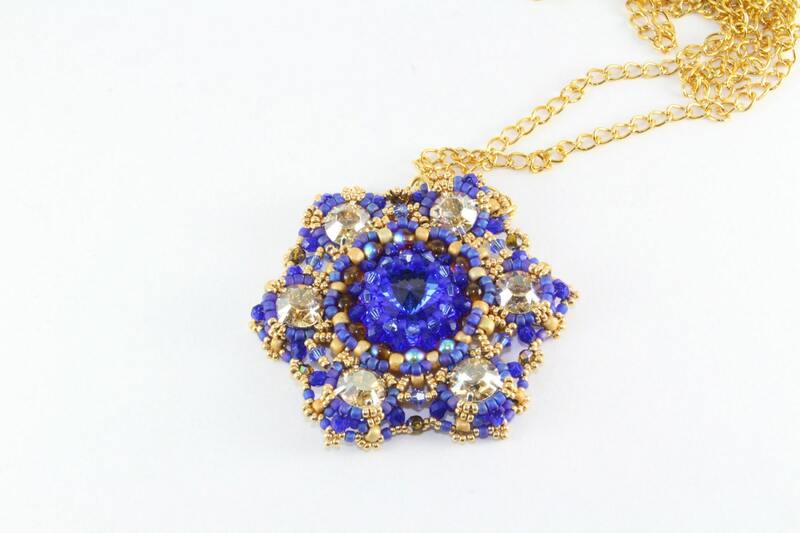 It is important to have the right supplies to make this dazzling, beautiful pendant.